Modernization of many cellars has brought increased interest to white wines from what is regarded by many wine connoisseurs as the "center of the wine universe." When most wine drinkers think of Bordeaux, they think of red wine. 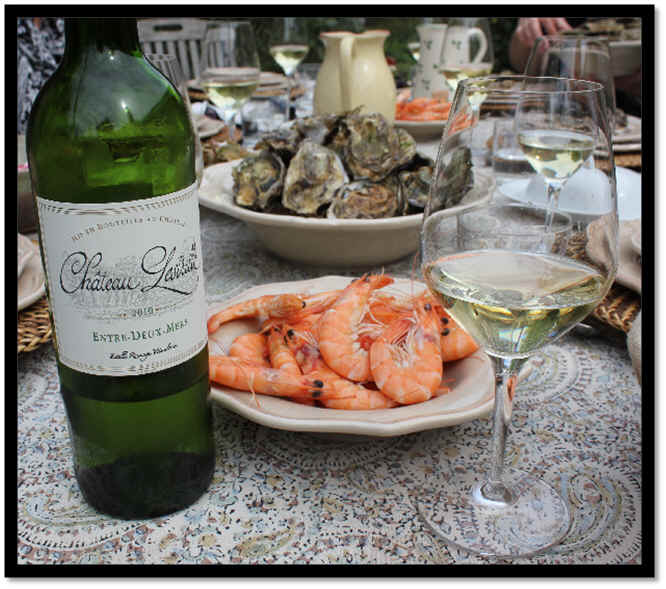 There have been excellent dry white wines from Bordeaux, but a bit of technology has helped advance the cause and today there are many good values coming from even the "petite ch�teaux." 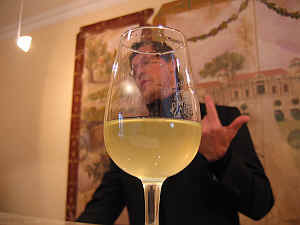 Given that there are thousands of wineries here, an increase in the quality of white wine means consumers have an alternative to Sauvignon Blanc and Semillon wines from other parts of the wine world. Each estate has its own "recipe" for making white wine. Some are predominantly Semillon, while others display intense Sauvignon Blanc characteristics. There is a minor blending variety here called "Muscadelle de Bordelais" and a few other white grapes dot the countryside, including "Ondenc," "Mauzac" (the white grape responsible for the sparkling wines of Limoux), "Sauvignon Gris" and "Ugni Blanc" (known as Trebbiano in Italy and used for distillation in Cognac, just north of Bordeaux). 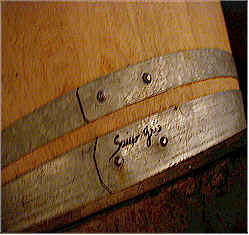 Aside from the varietal "blend," another complicating factor is the use of wood. Many small wines of Entre-Deux-Mers are vinified exclusively in stainless steel. 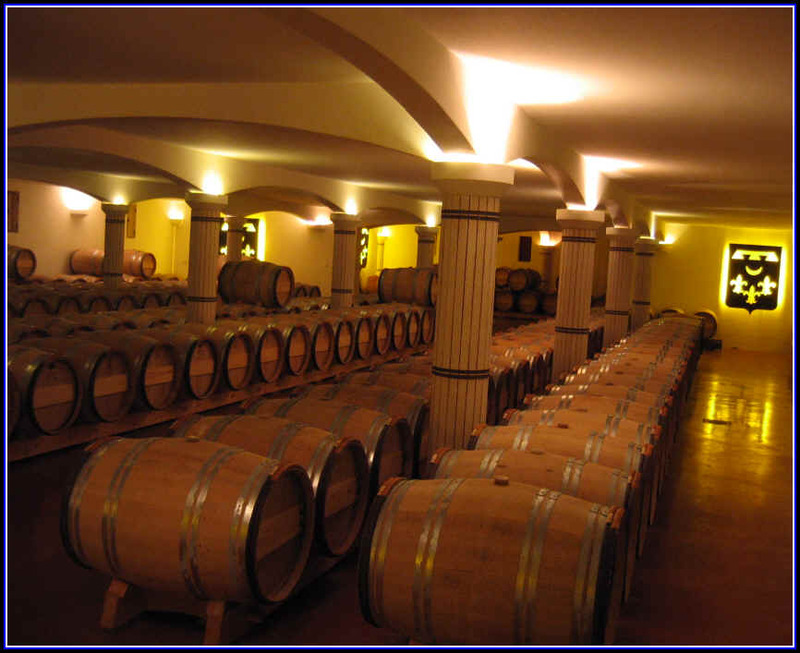 At the other extreme, some estates ferment their wine exclusively in 60-gallon oak barrels. Then there's the issue of a secondary, malolactic fermentation. Some wineries do. Some don't. We have but a limited number of wines from this region. But we've got a wide range of styles and prices for you. Our "scout" in the Southwestern part of France comes up with some wines which have great appeal to those of us who enjoy drinking well and paying little. Mirambeau is a property that's been in the Despagne family for more than 250 years. The current proprietor graduated from the local wine school in Bordeaux and then set out for South America and South Africa to gain perspective on winemaking. It's said that Jean-Louis and Odile Despagne moved into the little mill the day after their wedding in 1769! So this place has been in the family for 8 generations. 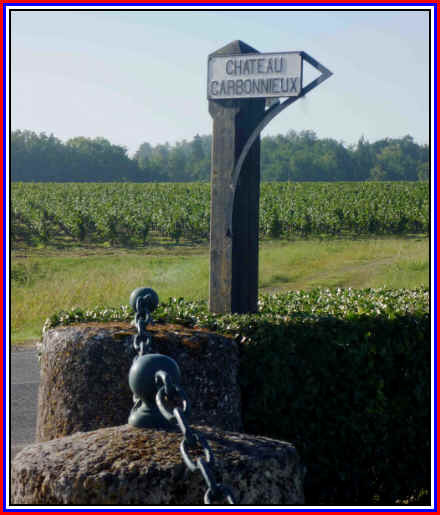 The property is in the town of Rauzan (not related the the Left Bank Rauzan estates in Margaux, by the way) and this is about a 30 minute ride from Libourne, the major city that's the hub of the famous regions of Pomerol, St. Emilion and Entre-Deux-Mers. 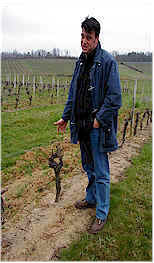 These days the main man is Thibault Despagne and his partner-in-wine is Basaline Despagne, his sister. They're a dynamic duo and hell-bent on making top quality wines capable of being compared to prestigious wines from around the world. 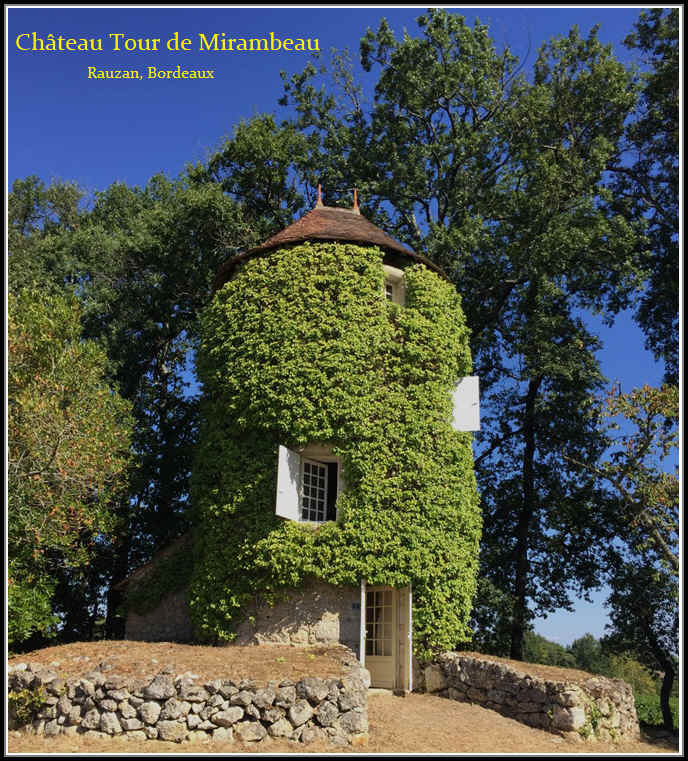 We've followed their wines for many years and can say the wine from the Tour de Mirambeau estate are routinely good and in the case of the Cuv�e Passion bottlings, they're below-the-radar bargains. They make a handful of Mirambeau bottlings, along with wines from their several other estates. There's been a nice progression in terms of quality and style, though we suggested that Despagne use a tad more wood in some of the wines. 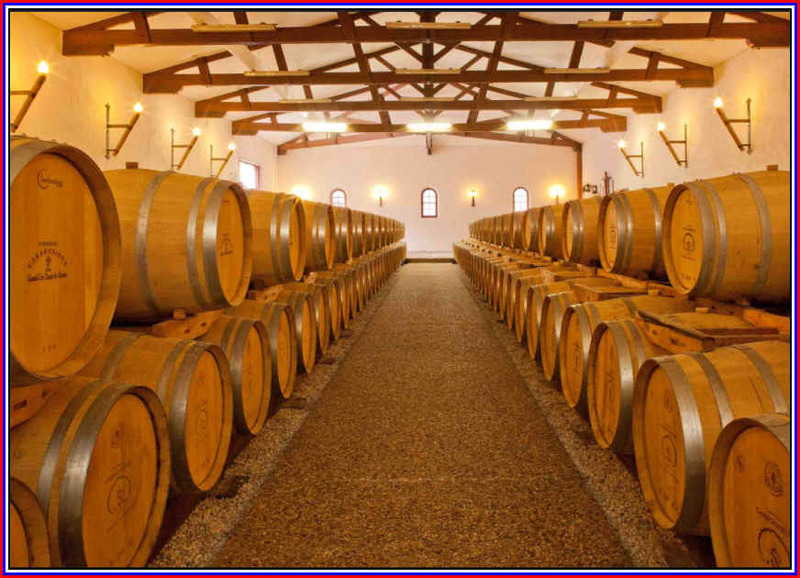 Like so many vintners, they discovered a barrel ages ago and used it enthusiastically. Then they began to pull back on the oak and while they appreciate the fruit in the wines, sometimes vintners employ less wood than their customers would like. 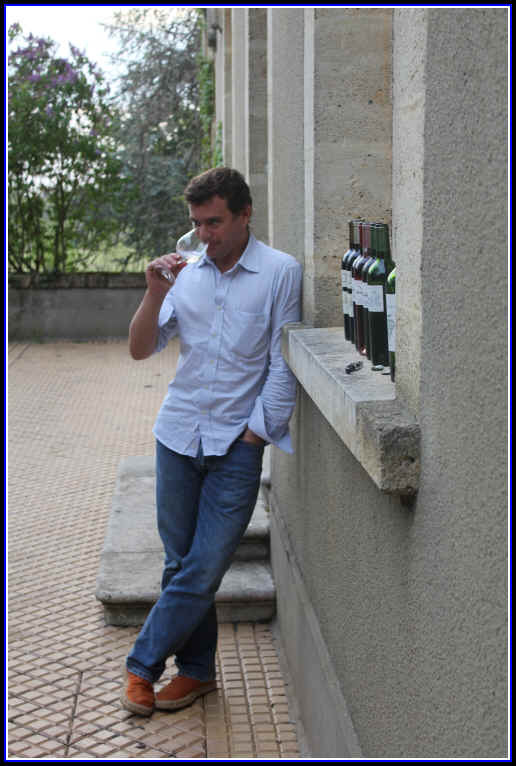 We had encouraged Thibault to use the Pessac-L�ognan white wine of Smith Haut Lafitte as a model. Our advice was to intensify the character of the Sauvignon Blanc in his special bottling called Cuv�e Passion. 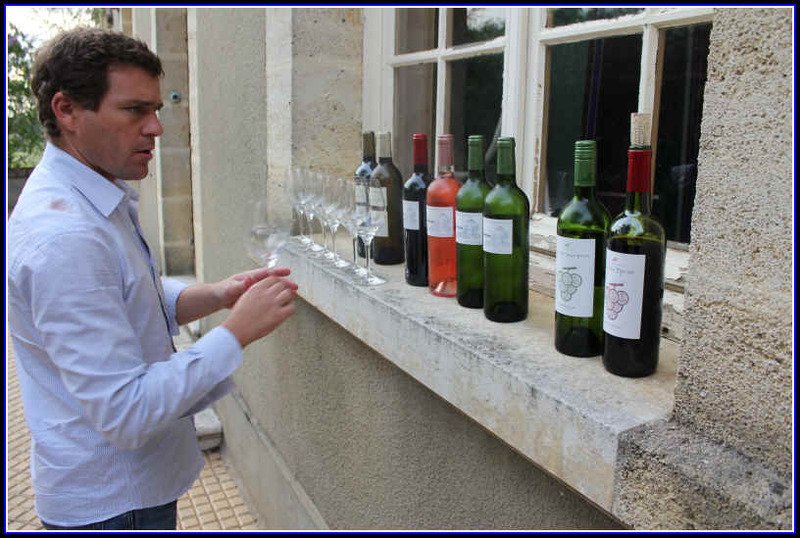 The 2016 Bordeaux Blanc with the Cuv�e Passion label is a real winner! It's approximately 70% Sauvignon Blanc with 30% S�millon. This vintage there's intensely citrusy Sauvignon up front and mildly woodsy notes framing this. Dry, medium-full bodied, but not heavy. It's a really showy dry white and well-priced. They make a nice Entre-Deux-Mers, too. The local importer has not brought that in for a few years, but the 2017 we tasted in Europe in early 2018 was very fine. Thibault in 2018 showing off his lovely new vintage of white wine. This modest-sized estate is on many "experts" list of top sources for good Entre-Deux-Mers. 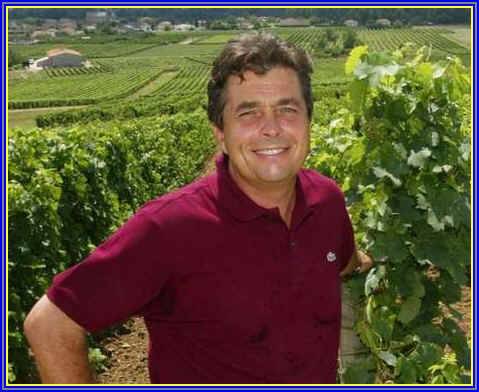 The property is owned by Gilles Dupuch and his son St�phane is now in charge of the place. The vineyards are of varying ages, the oldest vines on this 45 hectare estate being about 100 years old. Cattle ranching had been the main focus of many of the estates in this neighborhood, but only the recent decades have vines supplanted cattle. St�phane Dupuch's uncle bought the estate in 1956 and his father left a lucrative insurance business to get dirt under his fingernails. For "dad," the business was more of a hobby. For St�phane, it's a way of life. Though most Americans know the white wines of Entre-Deux-Mers, estates such as this actually have more land devoted to red varieties. Dupuch recently cleared some forest land and planted Cabernet Sauvignon, Merlot and Petit Verdot. 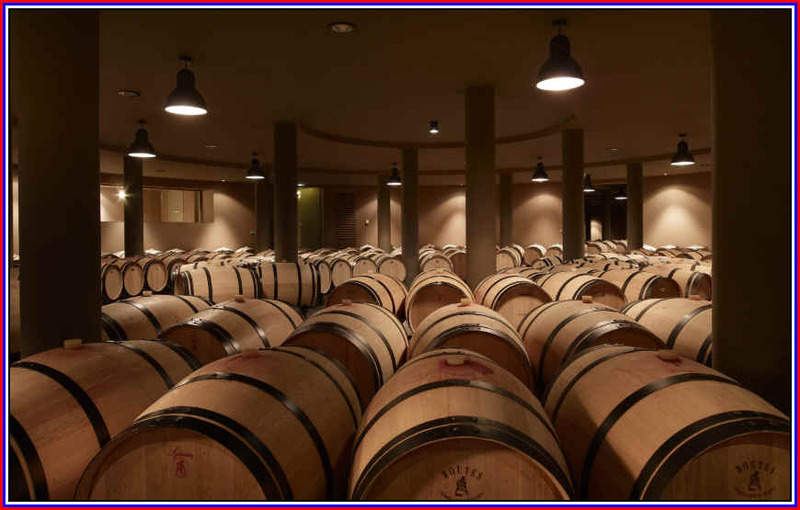 This site will be a "Premi�res C�tes de Bordeaux." We saw St�phane in Europe in March of 2018 and he is now making Syrah! Can you imagine someone growing Syrah in Bordeaux! 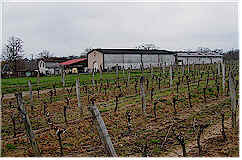 Saint-Marie's excellent Entre-Deux-Mers is cropped to a rather modest level, producing about 42 hectoliters per hectare. The wine is Sauvignon Blanc, predominantly, with a fair bit of S�millon and a bit of Muscadelle. The wine even gets a bit of skin contact, though St�phane has reduced that from 24 hours to about 15, or so. The 2016 is delicious and a nice alternative to some Loire Valley Sauvignons. It's dry, mildly citrusy and thoroughly delicious. MORE PHOTOS OF OUR FRIENDS, THE DUPUCH FAMILY. 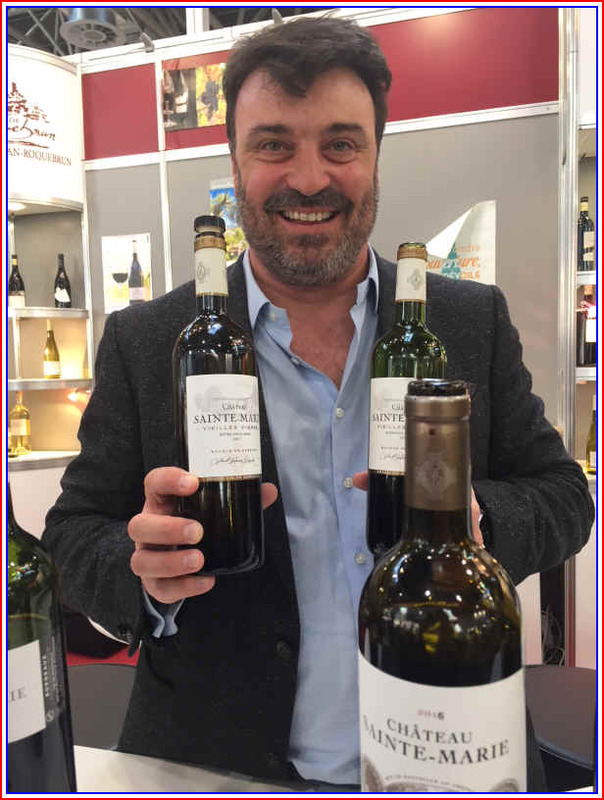 St�phane showing off new vintages. 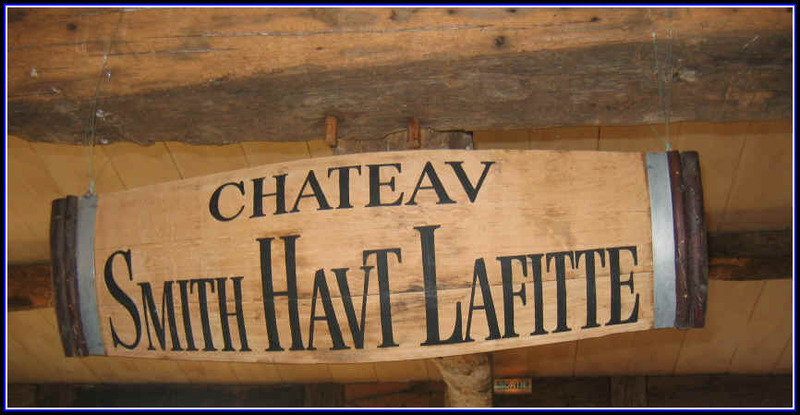 The Cathiard family has been running this estate since 1990 when Daniel Cathiard, a former member of the French ski team, sold his business interests in a grocery company and bought Smith Haut-Lafitte. The property had been well-regarded, but was an under-achiever in those days. Not anymore! The white wine of this property is highly regarded by those who appreciate Sauvignon Blanc. In fact, the white wine vineyards are about 90% Sauvignon Blanc, 5% Sauvignon Gris and the rest S�millon. The vines are close to 40 years of age. The hand-harvested grapes go into small picking boxes to not damage them...the grapes are crushed and the juice is cold-settled before being racked into barrel. 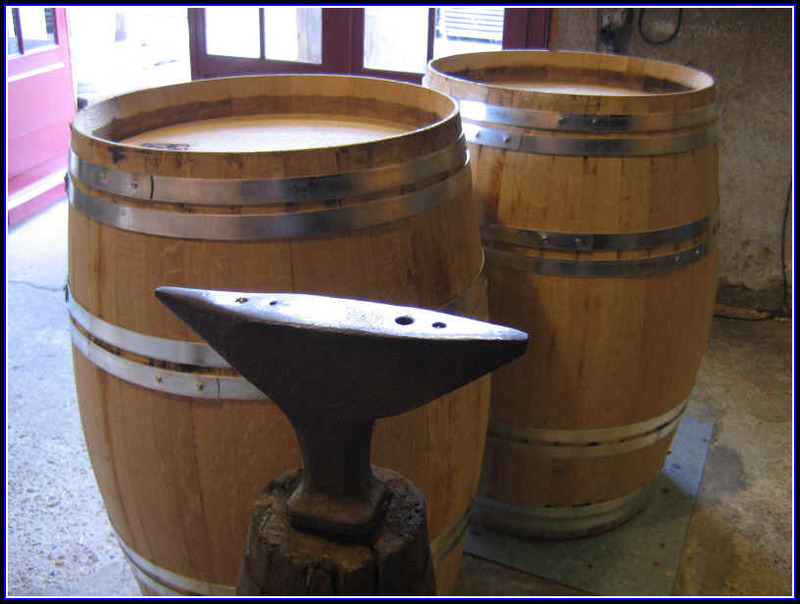 Fifty percent of the juice is fermented in brand new French oak barrels which are made on the property, not purchased from an outside cooperage. The wine is stirred periodically, a process called "battonage." The 2014 is striking and intense. We're big fans. It used to be more affordable and we'd put it on the dinner table to impress our friends. Now it costs so much that it's a bit of a splurge, but one we make occasionally. If you need a spiffy bottle for a fancy menu, especially seafood, do consider this. It's superb. Smith Haut Lafitte has its own cooperage. 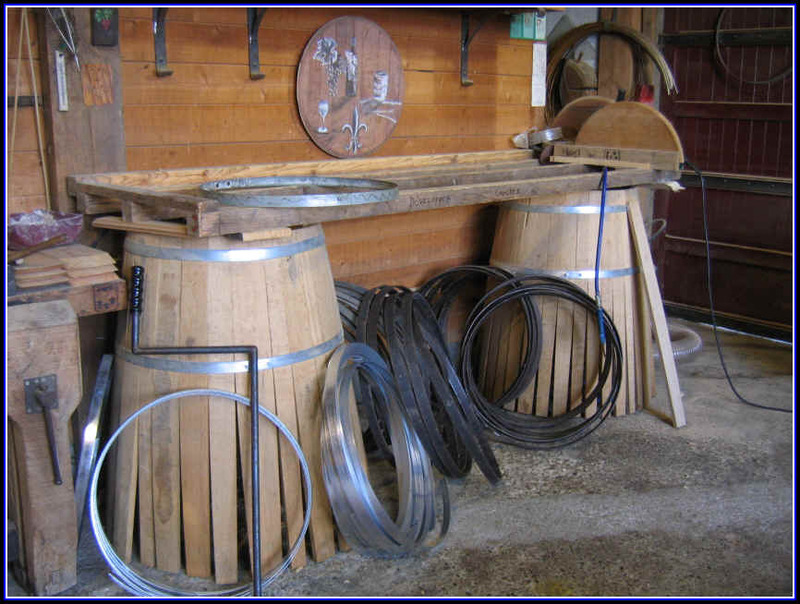 They mature the wood outdoors for several years so it dries out nicely...then they build their own barrels. The Fieuzal estate has a very good reputation and its white wine, I've found, generally to be superior to its red. They have about 75 hectares of vineyards with ten of those being devoted to white wine production. 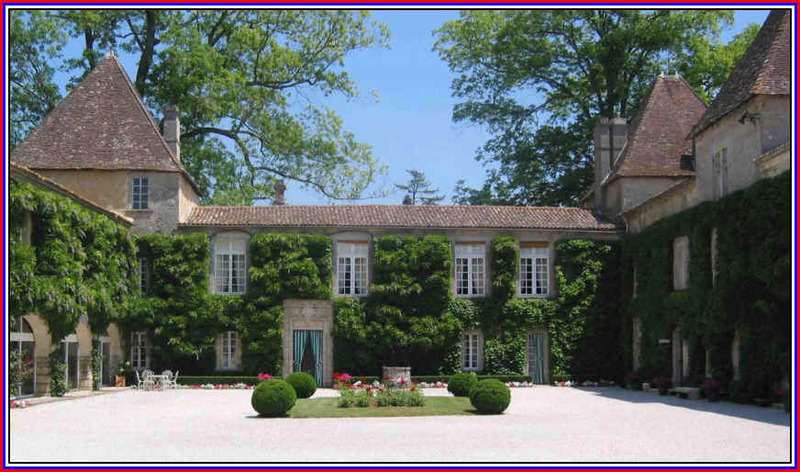 The property is located in the Pessac-L�ognan region. It came under new ownership in 2001, a fellow who was chairman of Allied Irish Banks, Monsieur Lochlann Quinn, is the proprietor these days. But ages ago it was owned by the Fieuzal family and it's had a succession of owners. It had been owned by the Gard�res family prior to the Fieuzals. When the Fieuzals sold the estate in the early 1850s, the property was split in two, with half being called Fieuzal and the other Haut Gard�res. In 1994 a bank purchased Fieuzal and a year later they bought the neighboring Haut Gard�res property, thus reuniting the estate. Quinn and his wife Brenda are wine aficionados and they're worked hard to make Fieuzal a highly-respected estate for both red and white. In 2007 they brought on a new winemaker named Stephen Carrier and he's made changes not for the purpose of being more cost-effective, but for improving wine quality. They remodeled the fermentation and aging cellars under Carrier's guidance. 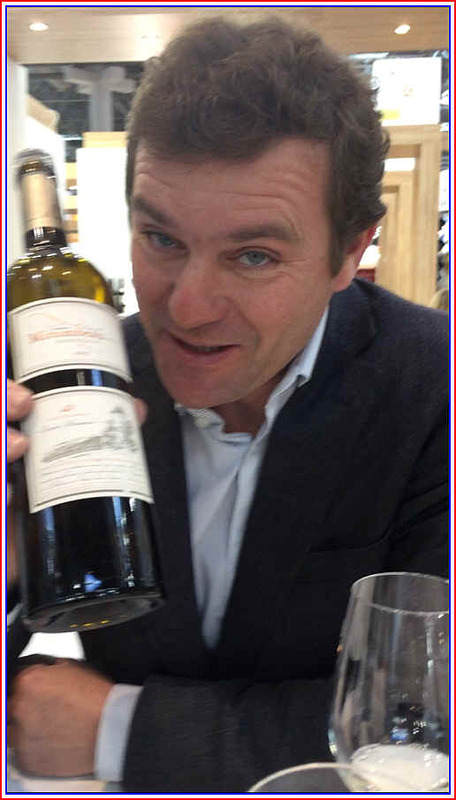 The Quinns are friendly with the owner of the famed St. Emilion estate, Ch�teau L'Ang�lus and he's somewhat of a consultant or adviser. I recall them reportedly having equal plantings of Sauvignon and S�millon, but these days they have 70% of the white wine vineyards planted to Sauvignon Blanc with 25% to S�millon and 5% to Muscadelle. The white wine goes into about 40% new French oak and remains in barrels for 12 to 16 months, or so. This routinely has a nice impact from the oak and the 2015 was amongst the showiest of the white wines from that vintage. Typically Fieuzal had been rather leesy and smoky, but under Carrier's tutelage, the wine displays brighter fruit intensity with a mildly woodsy note. This is a large vineyard and its white wine is one of the easier-to-find whites from the Pessac-L�ognan region. The estate has an interesting history, having been first owned by the Benedictine monks of the Abbey of Saint-Croix in Bordeaux. Wine from the estate is said to have been known by Thomas Jefferson who gifted the owner with a pecan tree that is supposedly still on the property. It was smuggled to the old Turkish city known ages ago as Constantinople. Despite the Islamic rule, the wine was so pale in color, it was labeled as "Eau de Carbonnieux" and masqueraded as some special French "water." The label, as you may be able to see here, has a design reminiscent of the shell of a sea scallop. We've heard this is because there's sea shell-like fossils in the gravelly vineyard, but a source in Bordeaux claims it's a symbol for those making the pilgrimage on the trail of Santiago de Compostela. Saint Jacques...Santiago...Coquilles St. Jacques. The estate was adversely impacted by the killer frost of 1956 and the property was acquired by a family named Perrin (not the same people who own the Ch�teauneuf-du-Pape estate of Beaucastel). Today the grandchildren of the original Perrins, Eric, Christine and Philibert, run the property. The estate covers some 170 hectares with about 95 hectares of vineyards. 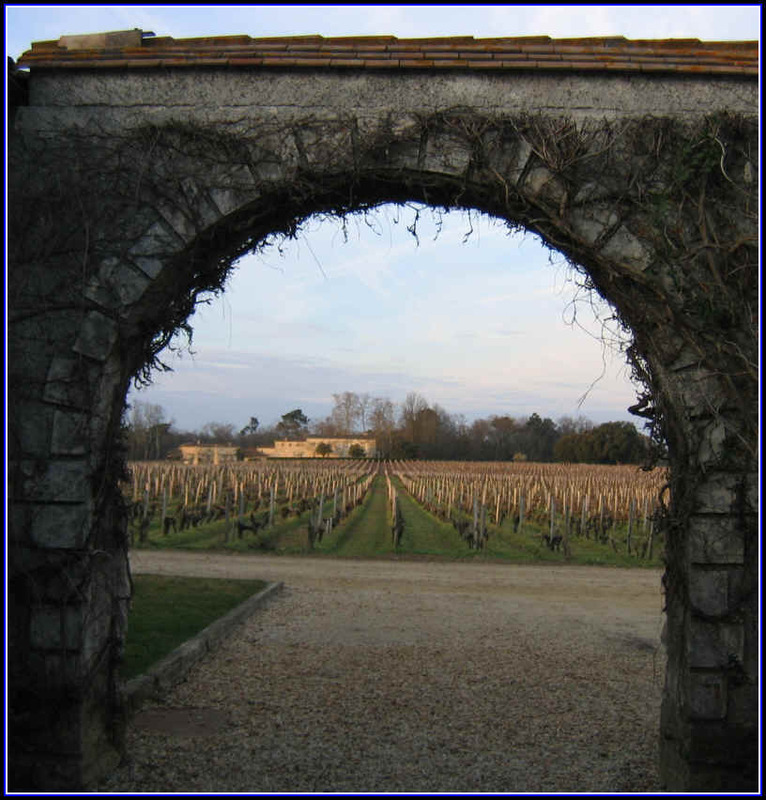 Partly due to its easy availability, the wine has been a bit of an ambassador for the Pessac-L�ognan region. Through the 1990s I'd found the wine to be a bit of an under achiever, frankly. I've found, though, over the past decade, the wine seems to be getting better. Perhaps it's due to vine age, perhaps it's due to the increased experience of the winemaker and ch�teau owner. The Perrin family (not the famous Beaucastel Perrins, by the way) owns this estate and they've operated it since 1956. They'll tell you the vineyards are comprised of numerous little parcels...something like 119 of them. Sauvignon Blanc comprises about 65% of their white wine vineyards and these are typically on deep gravel soils, though there are some plots on finer gravel with clay and limestone. The S�millon is on clay and limestone and those comprise about 45% of the white vineyards. The 2014 vintage was challenging, but ultimately produced a pretty good wine. It's 75% Sauvignon Blanc and 25% S�millon. I understand they have been doing a pre-fermentation period of skin contact for the white wine of Carbonnieux. It used to never see any wood and its rather intense, weedy Sauvignon aromas were a bit crude without some time in oak. Now the wine spends a bit of time in wood and they even leave it on the spent yeast and stir this sediment to create a smoky, toasty element in the wine. The wine is less 'green' and less herbal than it was, say, a decade ago. Now they capture more of a citrus and mildly grassy tone with a hint of melon-like fruit. The wood is well in the background here. The 2014 is very nice and a wonderful accompaniment to simple seafood dishes. This is a smallish estate not far from St. Emilion and Pomerol. We've had their terrific red wines for a number of vintages and these have been reliably good and remarkably good values. The past few years their white wine has become a shining star, too. The property has been in the Roumage family for 5 generations, dating back to 1901. In 1980, Estelle Roumage's father began bottling wine and offering it for sale to private customers. Estelle came on board in 2001. She had spent time in Madrid during her school years and learned Spanish, as she prepared to head to Chile to study their New World winemaking. She met her husband in Spain and never did venture off to South America. She did, however, manage to do some espionage in New Zealand and this may explain the style and high quality of the white wine at Lestrille. The property had but 2 hectares of white grapes when we first started buying their wines and today they have 10 hectares devoted to their "Vin Blanc" program. The 2016 Entre-Deux-Mers has a great fragrance to it...lots of citrusy Sauvignon aromas waft from the glass and it's dry and fresh. The blend is 80% Sauvignon Blanc and 20% Muscadelle. It's perfect with seafood as you might imagine looking at the accompanying photo above. Veronique Smati has owned this small estate since 2007. It's located in the Graves appellation town of Illat, a little village housing about 1200 people. It's less than 6 kilometers from Sauternes and it's a half hour ride in the car south of estates such as Haut-Brion and Smith Haut Lafitte. They have about 38 hectares of vineyards...there are seven hectares of white grapes.. Smati is working on converting the vineyard to organic farming and is close to getting certification of that. 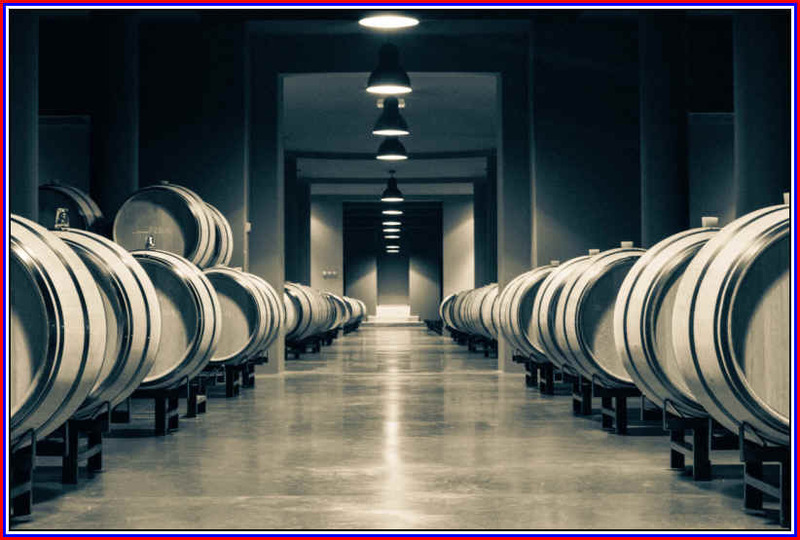 The wine is vinified in stainless tanks and they stir the yeast sediment on a regular, frequent basis which gives the wine and mildly toasty character. Sauvignon Blanc dominates, though there's a nice percentage of S�millon in the blend. It's dry and medium-bodied. We like the citrusy notes on the nose and palate. This splendid white Bordeaux comes from the Graves region in a town that's quite close to Barsac (where sweet wines reign supreme). 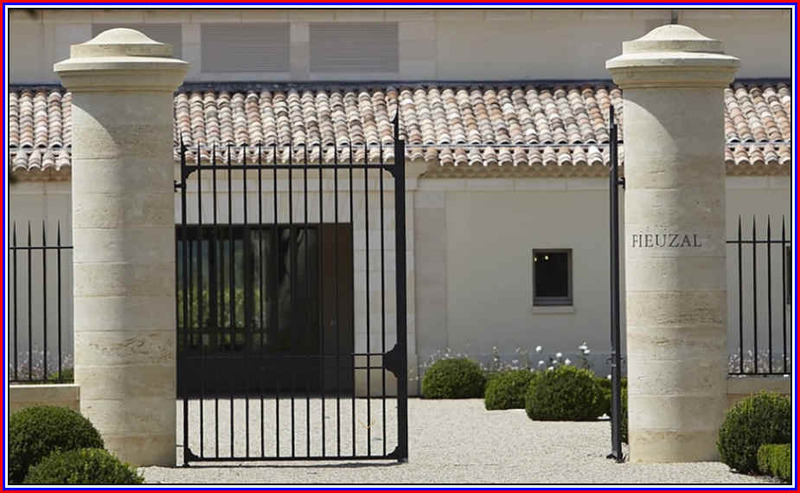 Clos Florid�ne is one of several estates owned by the Dubourdieu family. The late Denis Dubourdieu and his wife Florence (they cobbled together their first names and came up with Florid�ne) have a little business that's aided by their two sons, Jean-Jacques and Fabrice. Dubourdieu was named as Decanter magazine's man of the year in 2016. He worked tirelessly as a consultant to many top estates in Bordeaux (said to be 80+ wineries), including Ch�teau d'Yquem, Ch�teau Margaux and Ch�teau Cheval Blanc. He was a professor of enology at the University of Bordeaux and published hundred of research papers. Dubourdieu is credited with changing the face of Bordeaux's white wines from dull and flat to crisp and aromatically vibrant. 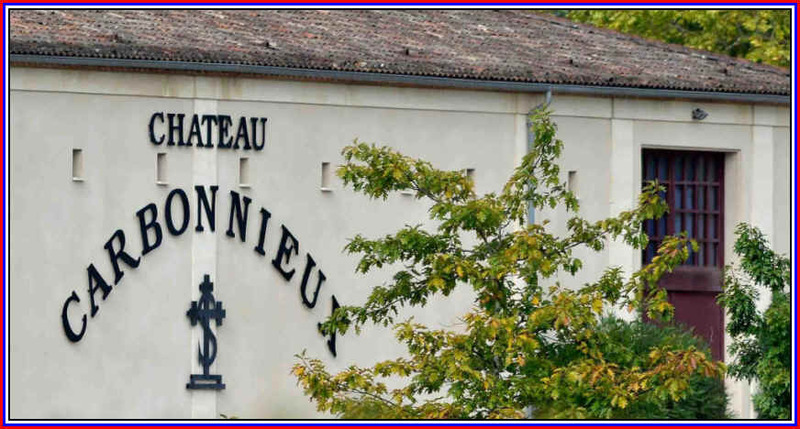 Located in Pujols sur Ciron, less than ten minutes by car to Sauternes estates such as Suduiraut and d'Yquem, the Clos Florid�ne wine is a dry white wine, not sweet. The soil bedrock is limestone and on top you'll find "Barsac Red Sand" as the locals call it. The Florid�ne vineyards cover about 40 hectares, with slightly more than half being devoted to white wine production. More than half the vineyards are S�millon, with 48% Sauvignon Blanc and 1% Muscadelle. 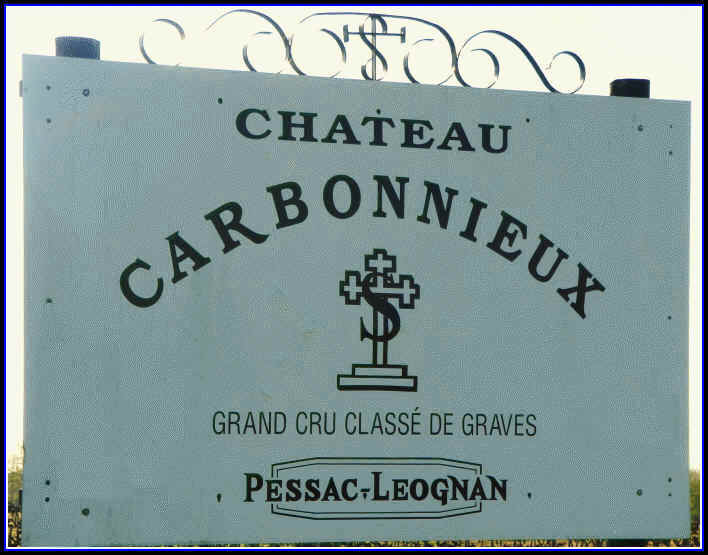 The wine routinely gives the more costly bottlings from the famous estates in Pessac-L�ognan a run for the money. Though we've read about Dubourdieu's aversion to oak, we've found his Clos Florid�ne white wine to display a moderately toasty character which we associate with a wood barrel. The 2015 is mildly woodsy and there's a glorious fragrance reminiscent of peach, ripe melon and citrus. Add in the toasty elements and you've got a rather complex and showy bottle of wine. This vintage is said to be 52% S�millon and 48% Sauvignon Blanc. No Muscadelle this vintage. It had certainly been a good calling card for the late Dubourdieu as other wineries hired him to help make a wine of such style, grace and complexity (often at significantly higher prices).